Complex regional pain syndrome (CRPS) is a condition characterized by excessive, lingering pain in one of the limbs (arms, legs, hands, or feet), usually after an injury, trauma or surgery to that limb. The pain is often accompanied by swelling, changes in skin color or temperature, abnormal sweating, joint stiffness, or abnormal muscular contractions, in the affected area. These changes may be mild or dramatic. The pain has been described as burning or throbbing. There is often increased sensitivity in the affected area, such that even light touch or contact is painful. Unlike the normal pain which occurs after an injury, the pain of CRPS is often more severe than the initial injury and persists even after the initial injury or trauma has healed. The exact cause of CRPS is unknown. However, abnormalities which have been observed in patients with CRPS and which may contribute to its cause include increased bone turnover in the affected limb, aberrant inflammation, abnormal constriction or dilation of blood vessels, and maladaptive changes in the brain. CRPS was formerly referred to as reflex sympathetic dystrophy (RSD). It can strike at any age and affects both men and women, although it is much more common in women. The incidence of CRPS increases with age but the disease is also seen in children and teenagers. CRPS seems to occur most often after fractures with surgery being the next most common precipitating event. Other injuries which can precipitate CRPS include sprains, contusions, and crush injuries. A large patient survey revealed that patients likely to develop CRPS report a high level of pain in the week after wrist fracture. There is currently no drug approved for the treatment of CRPS. Medicines used for more common pain conditions, such as opioids, NSAIDs, and neuropathic pain medications, are considered to be largely ineffective in CRPS, as demonstrated by controlled trials. Consequently, invasive and expensive palliative interventions, such as sympathetic blockades, surgical sympathectomy, and surgically implanted spinal cord stimulators, are often used although they carry a risk of significant complications. AXS‑02 (disodium zoledronate tetrahydrate), is a potentially first‑in‑class, oral, targeted, non‑opioid therapeutic for chronic pain. We are initially developing AXS‑02 for the treatment of pain in the following three conditions: complex regional pain syndrome (CRPS), knee osteoarthritis (OA) associated with bone marrow lesions (BMLs) and chronic low back pain (CLBP) associated with Modic changes (MCs). 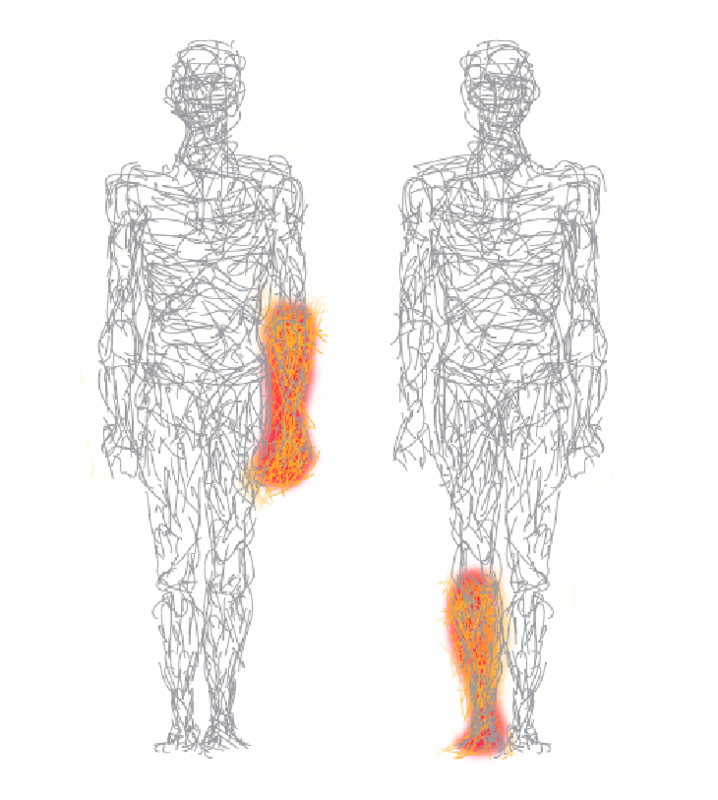 AXS-02 has been granted Fast Track designation by the FDA for the treatment of pain associated with CRPS as well as for the treatment of knee OA associated with BMLs. AXS-02 has also been granted Orphan Drug Designation by the FDA and Orphan Medicinal Product Designation by the EMA for the treatment of CRPS. AXS-02 is an investigational product candidate not approved by the FDA. AXS-02 is being evaluated in the CREATE-1 (CRPS Treatment Evaluation 1 Study). CREATE-1 is a Phase 3 multinational, multicenter, randomized, double-blind, placebo-controlled trial designed to evaluate the efficacy and safety of AXS-02 for the treatment of pain associated with CRPS. The study is enrolling patients at sites in the United States, Canada, the United Kingdom and Australia. Eligible patients must be at least 18 years of age with recently diagnosed CRPS type 1 related to a traumatic injury. Eligible patients will be randomized to receive either AXS-02 or placebo by mouth once weekly for six weeks. The primary efficacy measure is the change in patient-reported pain intensity at the end of Week 12.